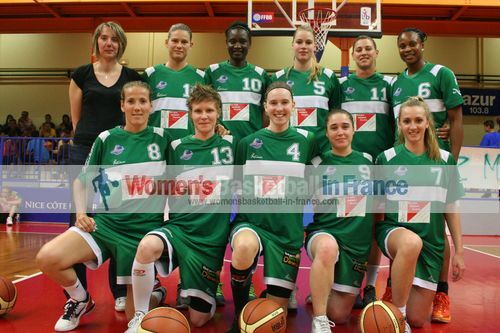 Cavigal Nice extended their LF2 Final Four unbeaten record with a comfortable victory against Pau-Lacq-Orthez in the second semi-final (78-55) to book their place in the final against Angers. Jump to some video highlights as well a picture gallery and after-match comments. Veuillez trouver en bas de page notre reportage sur le match en français. The first 10 minutes of the game were fast and furious as both teams more or less traded basket for basket. 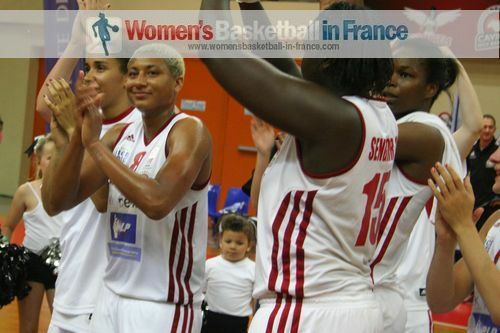 Ingrid Bunel with 6 points was the locomotive of Pau despite being on the wrong end of a Jeanne Senghor-Sy smash. 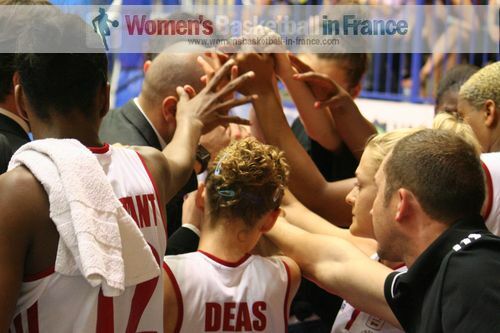 Fabienne Constant led the way with 6 points as her side edged the first quarter (19-17). Cavigal Nice scored 7 quick points to start the second quarter as they stepped on the gas. It was one-way traffic for the first part of the quarter with Nice opening up a double-digit lead (31-19) with 15 minutes played. Rachid Meziane, the Cavigal Nice coach was able to turn his roster for the rest of the quarter. The Niss'Angels went into the break satisfied with a commanding advantage (40-26) with all the players who entered the court scoring. The second half took off the same way the first one ended with the Niss'Angels working like a well oiled machine with unselfish and intelligent plays while Pau-Lacq-Orthez were struggling offensive wise. 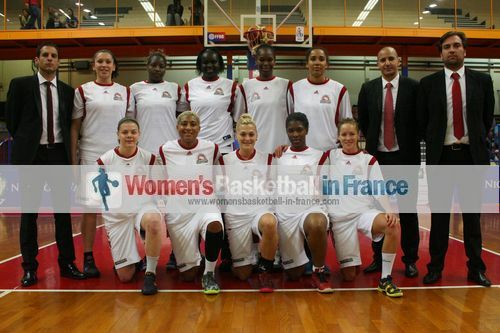 Going into the fourth quarter Cavigal Nice were in front by 23 points (61-38) with the last three-ball coming from Margaux Okou-Zouzou. In the last quarter the match played itself out as Pau could not counter Nice and suffered a (78-55) defeat while Nice can have a well deserved rest for their Sunday encounter against Angers. Seulement les dix premières minutes Pau était capable de faire face à Anaïs Déas et co-équipières pour être menée par 2 petits points (17-19). Mais après c'était la show des Niss'Angels qui s'inspiraient de Fabienne Constant et de Alexandra Tchangue. L'écart se creusait de plus en plus, à mi-temps (40-26) et à la fin de la rencontre Nice gagnait facilement (78-55) pour se laisser congratuler par ses fans pour une nouvelle fois d'être dans la finale dans une Final Four en LF2.